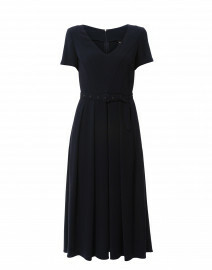 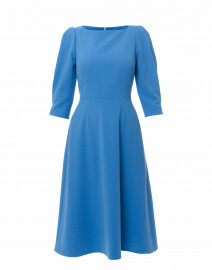 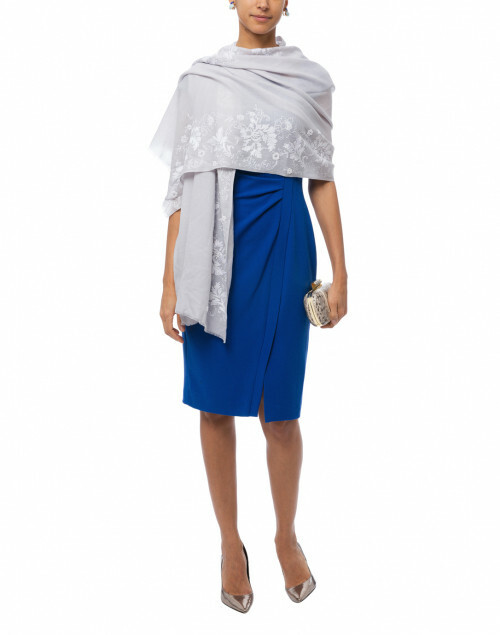 The Tassa dress by LK Bennett is a perfect example of the brand's sophisticated, and elegant aesthetic. 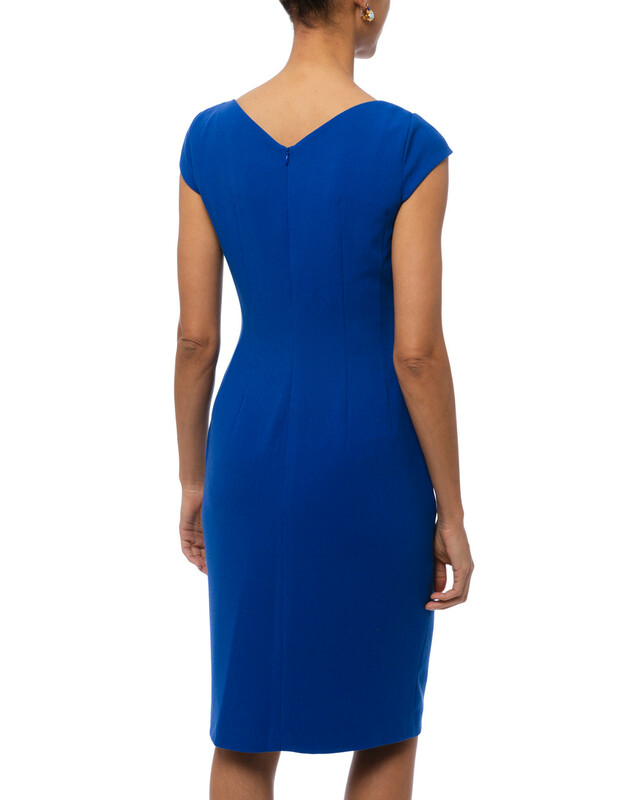 In a striking cobalt blue, this dress features an asymmetrical neckline, side ruching, and artfully placed darts. 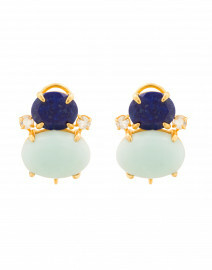 Pair it with statement earrings for an effortlessly chic going out look. 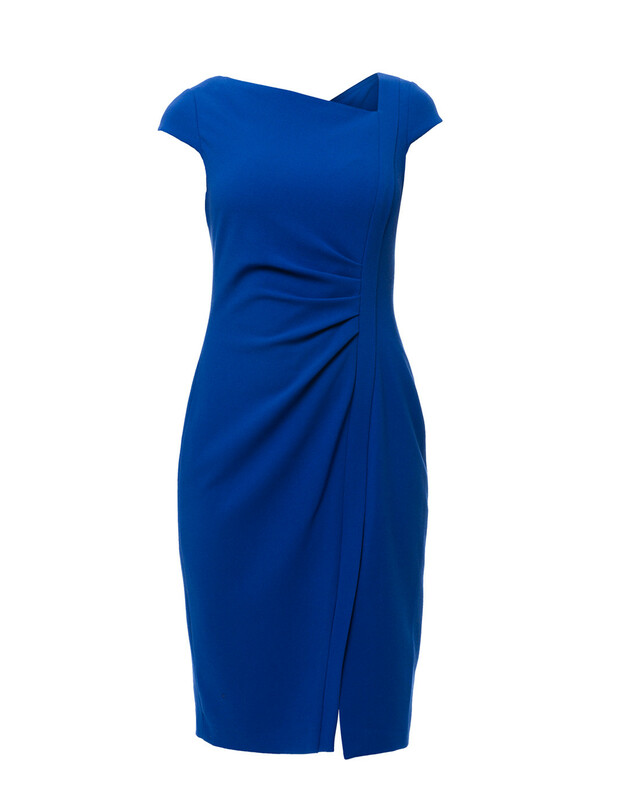 Length 36" 37" 37" 38" 38" 38" 38"
Shoulder Width 12.5" 13" 14" 14.5" 14.5" 15" 15"
Bust 29" 31" 33" 34" 36" 38" 39"
Waist 30" 32" 34" 35" 37" 39" 41"
Hip 31" 33" 35" 36" 38" 40" 42"
Sleeve Length 3" 3" 3" 3" 3.5" 3.5" 4"
Slit Length 8.5" 8.5" 8.5" 8.5" 8.5" 8.5" 8.5"